Hi it’s Penny Zenker. Your host of Take Charge of Your Productivity. Thank you listeners, for sharing your comments on Facebook, twitter and LinkedIn. For those of you who are new to the show, I would like to welcome you. On this show we explore your greatest potential by tapping into the ten core elements of time and energy management. This week we have a great show. We are talking about measurement. Measurement means finding an effective and sustainable way of identifying where you currently are relative to where you want to be. It is the part of your journey where you stop and check the map. When I work with clients that is the first thing we do. We do a Gap Analysis. We get a clear understanding of what are their goals and objectives and then we pinpoint where they are now so that we can accurately access the gap. If you don’t know where you are, you have no baseline of comparison for growth to demonstrate progress. We know from our show on progress with Lori Saunderson. How psychology important these wins are to our future success. Those of you returning, you may be familiar with my productivity windmill. Sustainability is the third blade and it’s essential if you want to maintain a high level of success and productivity. I came up with the windmill as a metaphor for human productivity. The windmill has a gear mechanism that works from within. The smoother and more consistent and the faster the blades turn, the more productive you tend to be. In taking charge of your productivity there are 3 segments, or blades, that are really critical. They are championship psychology, winning strategies and sustainable results. Without all three of these, your productivity windmill is underpowered. It’s going to turn but not optimally. So what to measure is important if not more than the measurement itself? When you are clear on your outcome and you measure the right things, then you can effectivity and consistently monitor key indicators and those important drivers. Imagine that you are a contractor for a building or a house. The mantra that they live by is measure twice and cut once. You can apply that mentality to any aspect of your life in business. Measurement allows you to see where you are on the road to success. Avoid time and costly investments on the roads that are not moving you forward. On todays’ program, you are going to learn the importance of accountability through measurement, the frequency of measurement, and the value of measuring the right variables. American entrepreneur, international speaker, acclaimed author, Keith Cunningham is regarded as one of the foremost authorities on business mastery. With more than 40 years of business and investing experience Keith has taught critical business skills to thousands of top executives and entrepreneurs around the world. He teaches the tools and strategies used by the pros. Not only to make money, but more importantly, to keep it. Keith is an expert in helping business owners turn fledgling businesses into highly profitable companies with explosive growth. In his business school for entrepreneurs he teaches detailed strategies you can implement even in today’s volatile economy to ensure that your revenues soar while maintaining close control over your expenses. Keith is the author of Keys to the Vault. Lessons from the pros on raising money and igniting your business. The Ultimate Blueprint for an Insanely Successful Business is his newest book and it is available online at www.keystothevault.com. Keith I have seen you present several times at Tony Robbins stage and I have to tell you that you are brilliant. Keith: You made me blush. 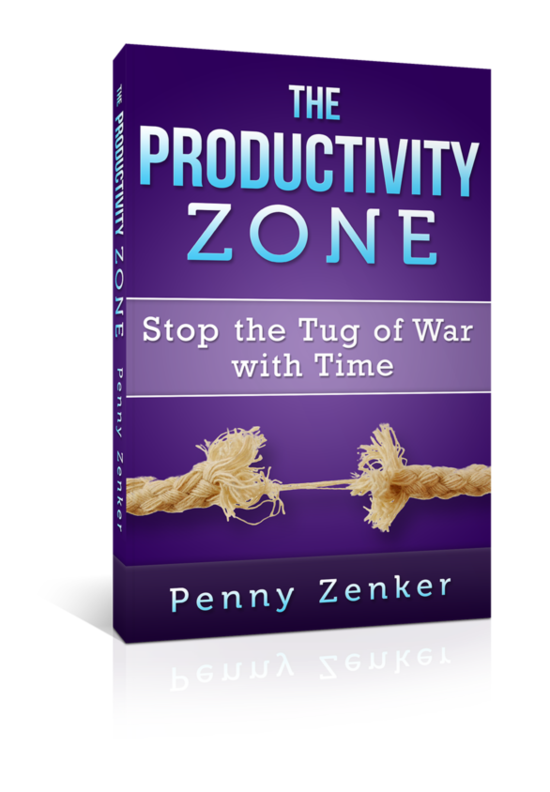 Penny: It’s your ability to get to the heart of the matter and take complex topics and make them simple. Real business growth and make it accessible to people at any level of their business. What an honor to have you. Why don’t you tell us a little about yourself and background. Keith: I am a businessman and have been for a long time. I have degrees in business. I started my career in the early 70’s in cable tv. I morphed from cable tv into real estate which is not as large of a jump as you think. Both businesses are capital intensive. I am good at raising money. So I made a lot of money in cable television and more money in real estate. The problem with success is that it typically teaches bad lessons. One of the lessons that I have learned which was a bad lesson, is that I thought that I was the primary driver of the financial and business success that I had attained. The reality is that looking back, I caught some really good waves and rode them very successfully and I was one of those people who could make money when the sun was shining and the wind was at my back. When the sun stopped shining, which happened in the mid 80’s, and the wind reversed direction, I think Warren Buffet said it best, you never know who is swimming naked until the tide goes out. The tide went out in the mid 80’s. I was left holding a bag of a tremendous amount of real estate and personal liability debt. The end of that was of that phase was not very attractive. It resulted in a huge calamity, I lost my money, and I had a lot. I lost it so I was faced with a situation of needing to reinvent myself and recreate. I was able to start with a blank slate and begin that process and a few years later I recreated my net worth. The question for me was how to keep it. I knew how to make it. Those are two different skill sets. I remade it and also simultaneously got interested in teaching and creating skills and tools that would allow business owners to create the sustainable financial success they were looking for. I began a process of taking what I knew, learned and creating some tools and some teaching environments that would allow people to come and study with me. At this point, to put a cap on it, we own businesses. At my core, I am a business guy. We own a collection of relatively small businesses. All of them are between 5 and 10 million revenue and they are all profitable. 20 to 30% bottom line profit. But we spend the majority of our time in the teaching and helping business owners do a better job of running the business end of their businesses. That is how you and I connected through one of those teachings. I am very appreciative of the opportunity to talk to you and your listeners and provide them with some strategies and distinctions that will propel them. Penny: They will get a lot of golden nuggets. You mentioned in your story about success and how it creates bad lessons. But really it is because it’s hard to know what’s the reasons for our success. We really don’t spend the effort to find out because we were successful. Why should we look into that, right? I have learned way more from areas where you fell short of expectations and weren’t successful because you are also forced to create those learnings. This show is about measurement. It plays such an important role in understanding why and where you are successful. Keith: Bill Gates says success is a lousy teacher because it lulls smart people into thinking they know what they are doing. That is what happened to me. I thought I was the cause of the success I was creating and the reality is that I happen to be in a very attractive environment financially and from a business standpoint, the climate was great and so I happened to be at the right place at the right time. The key question that business owners fail to ask themselves is if the environment shifted, to I know what to do to continue to make money. It’s one of the reasons why I am such an admirer of people like Warren Buffet, Bill Gates. These are people who not only made it but also sustained it. I think that the mistake that business owners make is erroneous belief that the key is to make it. That is not accurate. The key is to make it and then keep it. Anybody can get lucky and make it. The problem is you cannot get lucky and sustain it. People with sustainable wealth are people who have the underlying fundamentals. The underlying business skills and tools that will enable to successfully sustainably run the business end of their business. Penny: The key question to ask: If the environment shifted do I know what to do to make money? How do I create more flexibility and what other strategies and options do I have that I can easily switch on and off. But also down to the point of asking ourselves better questions. Keith: I think business is an intellectual sport. I think the people who attempt to win the game of business or the game of money or investing, the people who attempt the win the game by relying on their emotions, gut and glands are usually unsuccessful. Virtually 100% of the time unsuccessful. The key to business is understanding the fundamentals and it is an intellectual sport. The book that most people have heard of, written 80 years ago, it sold 10’s of millions of copies. The book is called Think….and Grow Rich. The name of the book is not use your emotions, guts, and grow rich. The name of the book is dim the lights hold hands, sing a song and a sack full of money will drop on your head. The book is how do you use your brain and thinking and I happen to think that thinking is one of the primary tools and most people have not accessed that tool. I will say it a bit differently. That is most people are looking for the right answer. And while having the right answer is great, I think having the right question is genius. I love what Albert Einstein did. He obviously is very smart and taught at Princeton for 20 years. After the first 3 or 4 semesters, not only did the students but also his fellow professors noticed that he kept giving the same final exam questions at the end of every semester. His peers came to him and said Albert, they are on to you buddy. Nobody is studying anymore because you are giving the same questions. You should stop that. Albert said, no, I am going to keep asking the same questions. They said why? He said because the answer keeps on changing. Let me tell you something, there is some brilliant insight into that. Reality is the answers for our businesses continue to change. What was a good idea five years ago, could very easily be a lousy idea today. A horrible idea yesterday could be a brilliant idea 3 years from now. The key is not can I find the right answer. The key is can I find the right questions? Penny: I agree. Questions are the cornerstone to also creating flexibility for ourselves. AS you talked about, it’s the environment shifted, would I still make money. Our strategies need to be flexible. I have broken down productivity into specific language made of ten essential elements. One of those is language and its core is the questions we ask ourselves. I agree, questions are underrated. People are forgetting where the real power is. I want to come back to a point about the operators. Many business owners find themselves that there business is running them. They are also so focused on size and revenue. I have been coaching with a lot of business and I am so surprised that they forget the most fundamental principal that is making profit. Some people think it is a dirty word. But that is what we are there for. Sustainable comes from being profitable. Why do you think so many business leaders and entrepreneurs forget this important principle? Keith: There is an enormous amount of peer pressure and conversation that happens in the entrepreneurial world. When somebody asks how big your business is, what they are all referring to is the top line. They are referring to sales. There are a number of entrepreneurial organizations some of which are well known. The majority of their conversations revolve around the size of your business. Meaning, how many employees, or how big your revenue is. There is even some well-known organizations that have as a litmus test for membership is you need to have revenues of at least one million dollars. As if having revenues of a million dollars somehow is a defining moment and in the life of your business. Inc. Magazine dedicates multiple months or issues of their magazine is dedicated to the concept of the Inc. 500. The way they define the Inc. 500 is these are the fastest growing businesses in the country or state. They define growth as being top line not bottom line. So here you have not only in the press but also in business organizations a tremendous amount of peer pressure as well as defining conversations around how fast your business is growing or how big it is as if the size of the business is the most critical thing. I am not pooping on the idea of this size of revenue is important. It is important because it is an indicator of marketplace acceptance and competitive excellence. But the whole reason to have revenue is to produce profits and the whole reason they have profits is to convert those profits into cash. Profits are not the same as cash. Nobody can spend their retained earnings. You can only spend cash so this idea of how well does a business convert its revenues into profits which is another way of saying how efficiently is the business being run and how well is management controlling expenses. Businesses who forget this principle usually wind up like a General Motors. GE got very big. And General Motors got very broke. The reason they got broke is not because they lack the ability to grow the top line, the reason they went broke is because that management forgot that the key to having revenue is to convert that revenue into profits and the key to having profits is to then to convert that into operating cash flow. There are a lot of reasons why business owners get off track and I think one of them has to do with the amount of pressure and conversation in the marketplace around the idea of let’s get big as opposed to let’s get rich. I think the key is to me, the size or big is not synonymous with successful. I think that the key is that we should be thinking about as business owners, what did the big guys do that caused problems in cash flow that allowed them to get big? Penny: I agree. It brings me back to measurement. What do we measure? What are we looking at that enables us to see the whole picture? So we can grow at that pace. At the same time, to be profitable as well. You have a great quote in The Ultimate Blueprint, we have to face reality by consistently measuring. I know in very large businesses, they are measuring constantly. But are they measuring all of the right elements? In smaller businesses, they are not measuring consistently. What do you have to say about that concept of consistently measuring and measuring the right things? Keith: Measurement and measuring the right things is fundamental to business success and sustainable. In my opinion, sustained ability in a business requires consistent measurement. It’s not just consistent measurement, its consistent measurement of the right things. The same has been heard by your listeners a thousand times. What gets measured is what gets done, managed, and can get improved. I think measurement is the thing that directs our focus or attention. Unfortunately, most people don’t measure if they do, they are inconsistent about it. Therefore they get inconsistent, or suboptimal or substandard results. To me, determining the correct things to measure and determining the frequency of those measurements is a keystone. It is the foundation for business success. If you look at google or Facebook or any of these Apple, these companies are known for their technology or their products but the reality is and their products are cool, but the reality is they have gotten to and sustained that level of success because they have rooms, buildings full of people who are business types, not coders or programmers or creative types. They have rooms full of business orientated people who are measuring in order to get optics. I will take this a step further. The reason to measure is not just to have a number written on a piece of paper, the reason is to have clarity and optics about what to do differently to cause different results. The reason we go to the doctor and get a blood test or an MRI, is so that the doctor can then have clarity about what is not visible on the surface. The instant we have that visibly and clarity, we now have the ability to change the underlying activity that is causing us to sabotage our results. Penny: That’s it. We measure so we can get clarity and create that flexibility to know what to do differently to get different or even better results than what we have. In order to really see, you need to measure the right things. Keith: An easy way to think about this is to assume we knew nothing about nutrition. We step on the bathroom scale and we discover our weight is up five pounds. If we nothing about nutrition, what we are likely to do in order to reduce or lose that five pounds is we are likely to wear a different pair of shoes every day believing that wearing a different pair of shoes or turning our shirt inside out, watching a different tv program, driving a different way to work, one of those activities, might be the thing that needs to change in order to cause a weight reduction. Penny: You should create a new plan. I think there will be really excited about your diet plan. Keith: Unfortunately, they would not lose weight. Because they are not measuring the critical drivers. The critical drivers that are far more important than measuring the weight. Stepping on a bathroom scale and being unhappy with what it says is not a call for a sledgehammer to the bathroom scales. The scales is simply reporting the facts. These are the outcomes. These are the effects. To me, appropriate measurements are measuring not only the bathroom scales and what they are saying, but more importantly, measurement is good measurement. Great measurement is measuring the critical drivers that are causing that weight outcome. I am making a distinction between causes and effects. Penny: Some people may be scratching their heads about their own critical drivers. How can you give them some insight about what those critical drivers are? Keith: Here is the question that should be asked when determining the critical drivers of your business. When I have a bad month financially, what should have happened didn’t happen, or what didn’t happen should have happened? It’s one of those two. When you have a bad month financially, there are only 3 to 5 critical things that can cause that bad month financially. One of them is not that somebody left the light on in the janitor’s closet overnight. You begin looking for the critical things. The critical drivers, causes of a bad month. Not a good month. So frame the question, the power of questions, to look at what are the things that cause a bad month financially. When you ask that question, you will find that there are only 3 to 5 really big boulders that can cause a bad month financially. Most of them revolve around something that should have happened that didn’t happen. Or something that did happen that shouldn’t have happened. Your business will be different than my business. All of our business, we own a handful of businesses, all of our businesses have different critical drivers. Some businesses that we have, a critical driver is the weather. Other critical drivers in other businesses, would be the pipeline. In almost all of the businesses, a critical driver is the relationship between labor and revenue. What is that percentage? How effectively and efficiently am I monitoring and measuring the productivity of my labor. Because labor is usually one of the largest single financial expense components of my income statement. I am looking for the critical few. A mistake that business owners make is they get engaged in this conversation about measuring and they start measuring too many things, as a result they go no optics. The whole reason to measure is to get optics on what is wrong so we know what to change. Penny: It gives you that focus. You need to measure the key things. Keith: Measuring how much I weigh every five minutes is an utter waste of time. Measuring how much I weigh daily is a waste of time. What is critical to measure daily, is not how much I weigh, but what I am eating and how much I exercise. Diet and exercise are the critical drivers to weight. Weight is simply the outcome. It is the effect and the causes of that weight are the things that need to be measured in order for me to effectively change how much I weigh. The same thing is true in business. Most people are measuring sales or profit. I am good with that, but that is a little bit like standing on the bathroom scale. It’s an autopsy. It tells you what happened after the fact. It’s not predictive about what needs to happen going forward. Penny: It’s going to help you see what happened to your business, not grow it. Keith: The key is to measure the causes by determining the critical drivers. There are only 3 to 5. There is not 500. There are 500 things but not 500 key ones. We would do a better job of determining and designing the critical drivers and measuring those, we would find that we would reach the outcomes we want with more predictability and sustainable. Penny: Stay tuned as we come back to talk more about productivity.